I often get asked what the best blood sugar monitor is. The Food and Drug administration requires that all blood sugar monitors must be accurate to within 20 percentage points of laboratory results. All monitors have decent accuracy. This margin for error should not be a concern unless you are aiming for very tight blood sugar control. If you are seeking a meter with excellent accuracy, see my recommendations below. 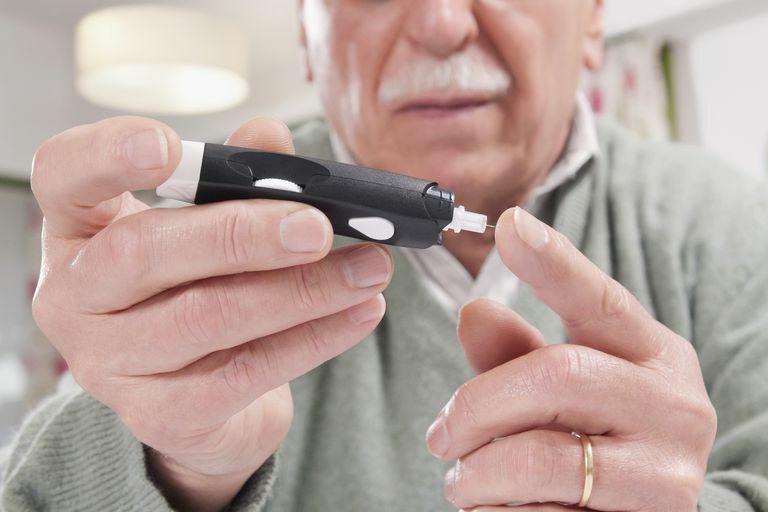 The key to finding the blood sugar monitor that works best for you is to take your personal preferences, your lifestyle, and your budget into consideration. Here are some things to think about when you shop for a blood sugar monitor. The price of the monitor might be your least consideration if you have to pay out of pocket for testing strips. I call testing strips plastic gold. When I ruin a strip, I imagine a dollar going down the toilet. Of course, if you don't have to test very often, then this might not be so much of a worry for you. However, if you have to test when you wake and after meals, then you might understand how pricey this can get. A person who tests four times a day could spend in excess of $1500 a year. Check what test strips are covered by your insurance and how much your portion of the cost might be. Look at the price for the store brand test strips to see if they might save you some substantial money. Choose a meter that does not present obstacles if making time to test is a challenge for you. Opt for one that offers quick results if you are impatient or always on the go. Look for a display that will be easy for you to read and with buttons that will be easy to use. If you hate learning curves or anything too highly technical, go with something simple. On the other hand, if you love gadgets with bells and whistles then today's meters will not disappoint. There are meters that can upload data, be plugged directly into a USB port with no cords such as the Bayer Contour USB Meter, and even meters that now connect to your phone such as the iBGStar. This little meter is about the size of a small lighter and plugs right into your iPhone or iPod Touch, making data uploads very convenient. When you open a new package of testing strips, you used to have to enter a new code. I don’t know about you, but sometimes I fumbled around trying to remember how to change the code or I would forget to do it. Today there are strips that do not require a code or they have a chip that codes for you. People with type 2 diabetes may be asked to test weekly, daily, or several times a day depending on their management goals. Those who are aiming for tighter control usually test several times a day. If you are looking for a meter with excellent accuracy, then I suggest you try Accu-Check Aviva, Accu-Check Compact Plus, and TRUEresult which have earned very good reputations.